The Gospel According to Mark recounts the circumstances that led to the beheading of John the Baptist by order of Herod Antipas, ruler of Galilee. Beau Biden, the eldest son of former vice president Joe Biden died of brain cancer in May 2015. Not even two years later, Beau’s younger brother Hunter has left his wife Kathleen and their three daughters for an unGodly “romantic relationship” with his dead brother’s widow, Hallie. Well, Hunter’s wife Kathleen, to whom he remains legally married, is hardly lucky. Not when her husband left her for his dead brother’s widow (whom Kathleen reportedly loved like a sister). And the three daughters of Hunter and Kathleen – Natalie, Finnegan and Maisy – and two children of Beau and Hallie – son Hunter (named after his uncle) and daughter Naomi – certainly aren’t lucky. Not with the “role strain” they will suffer with Hunter continuing to be the uncle of Hallie’s son and daughter while also assuming the role of their stepfather, and Hallie continuing to be the aunt of Hunter’s three daughters while also assuming the role of their stepmother. Years of therapy almost certainly await those poor children. Of course, the family and friends of Hunter and Hallie who have supported their unGodly coupling every step of the way will dismiss as “judgmental” those who suggest the unseemly “romantic relationship” between still-married Hunter and his dead brother’s widow an affront to God. 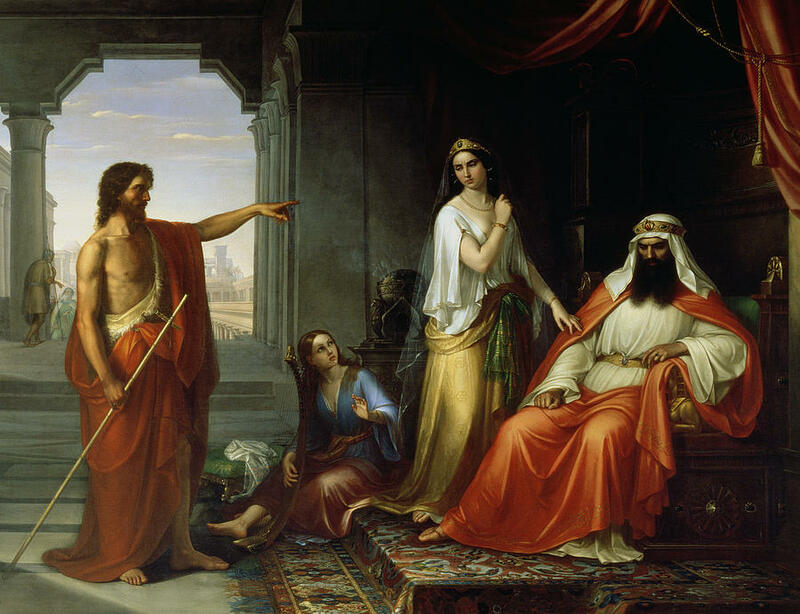 Just as Herod Antipas took umbrage to the suggestion by John the Baptist that it was unlawful for the king to have a “romantic relationship” with Herodias, his brother’s wife. But Hunter and Hallie are as guilty before the Lord as were Herod and Herodias. Because their coupling was conceived in adultery. And their anticipated matrimony will be anything but holy. Yet, Hunter and Hallie delude themselves that they have not sinned before the Lord. After all, Beau succumbed to brain cancer before Hallie fell into the arms of her dead husband’s brother. And Hunter separated from his wife Kathleen five months after Beau’s burial, which, to Hunter’s mind, made it okay for him to romance his sister-in-law Hallie. 12 Mar	This entry was published on March 12, 2017 at 7:34 AM. It’s filed under ADULTERY and tagged BEAU BIDEN KATHLEEN BIDEN, current-events, HALLIE BIDEN, HUNTER BIDEN, JOE BIDEN, JOHN THE BAPTIST. Bookmark the permalink. Follow any comments here with the RSS feed for this post. Funny how Hunter took a ‘job’ where he hunted and killed humans. In fact two of Biden’s sons became hired killers for the government.